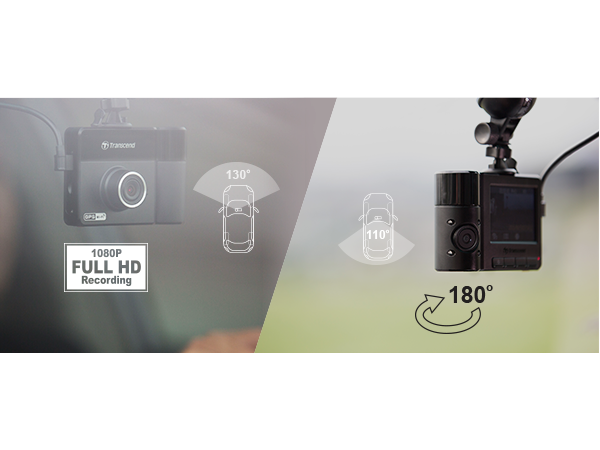 For those who extremely care about the road and personal safety, the DrivePro 520 is an ideal dual lens car video recorder that provides its drivers and passengers with optimum protection. 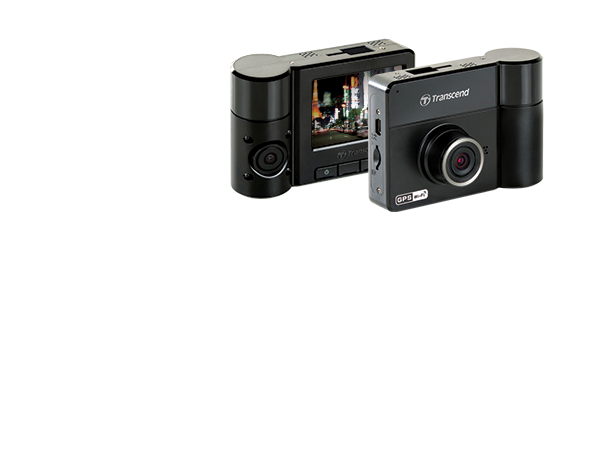 Featuring a 130° viewing angle, a large f/1.8 aperture and 6 glass lens, the front lens captures crystal-clear Full HD 1080P (30fps) videos with every detail happening on the road. The 180° rotatable rear lens comes with the four Infrared LEDs, allowing you to record sharp in-car videos at night or in low light conditions. Easy to install and operate, the DrivePro 520 even includes wireless connectivity to let you stream, download, and share videos whenever needed on your mobile devices. 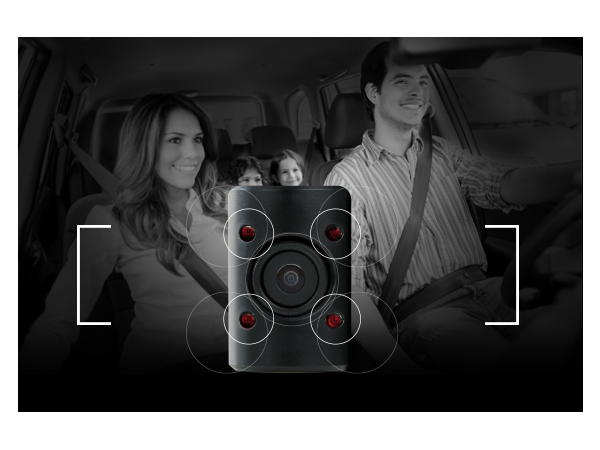 To comprehensively protect the road and personal safety, the DrivePro 520 boasts a dual lens camera to record what happens on the road outside and inside your vehicle. With the innovative 6 glass lenses and a large f/1.8 aperture, the front lens can adjust to different lighting conditions to clearly capture events in resolution of Full HD 1080P during daytime and nighttime. The rear lens camera features the 180° rotatable design to ensure that all the important details of your trip and in-car situations can be recorded. Featuring the four Infrared LEDs* surrounded by the rear-lens camera, the DrivePro 520 provides ultra-clear in car recording for low light conditions and night vision. When low light conditions are detected, the Infrared LEDs will be automatically turned on to support rear image recording, offering you and passengers a high level in-car safety. *Footage recorded with infrared LED will be in grayscale. 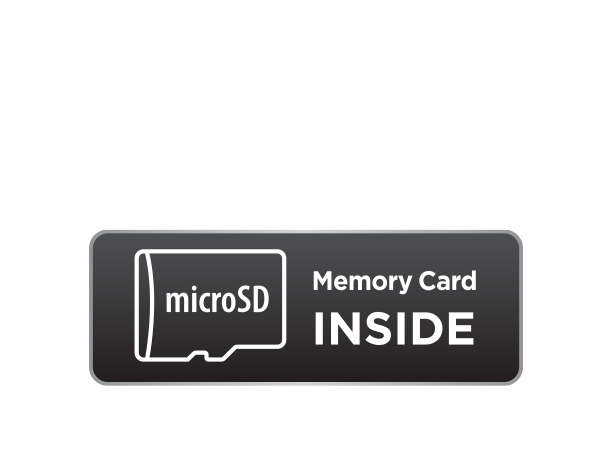 Each 32GB microSDHC Class 10 UHS-I 600x memory card included in the DrivePro 520 is designed for car video recorder use. Built with top-tier MLC NAND flash chips, it provides the consistent long-life durability and endurance. In the event of a collision, the DrivePro 520's motion G-Sensor will detect the impact and instantly trigger emergency recording mode. 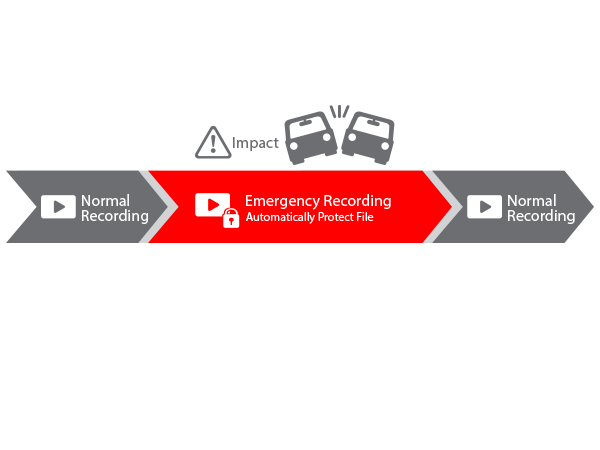 Emergency recording mode protects the current recording, including the critical seconds before the accident, from being overwritten. In addition, If other situations occur outside, you can simply press the accessible emergency button to manually activate emergency recording, protecting you from a false or lawsuit. Supported by the free downloadable DrivePro 520 App, the DrivePro 520 includes wireless connectivity to let you stream, download, and share videos on iOS* and Android smartphones and tablets – perfect for reporting incidents to insurance companies or the police. *Available on the App Store soon. 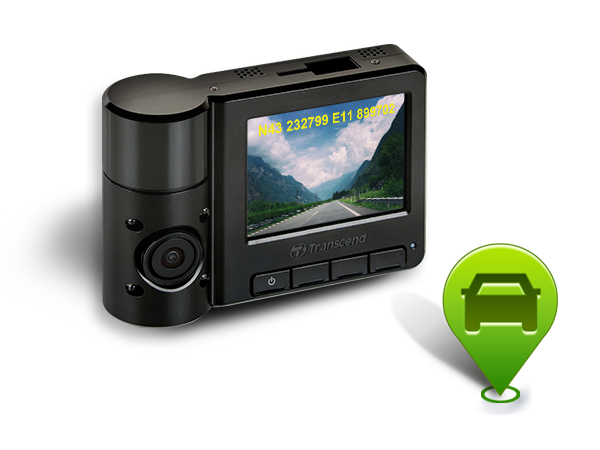 DrivePro 520's built-in GPS receiver can log GPS coordinates, date and time into the recorded video footage. During an incident, the GPS coordinates can help you precisely locate where you are so as to contact the Emergency Road Service, the police or the insurance company. 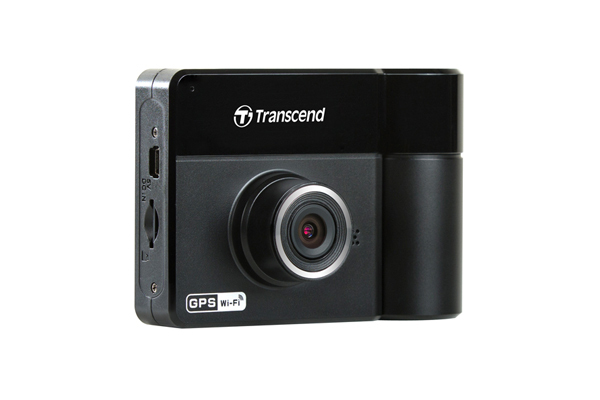 When used with Transcend's DrivePro Toolbox on a computer, you can see the driving paths of your entire journey along with all the necessary information such as GPS coordinates, speeds, date and time. 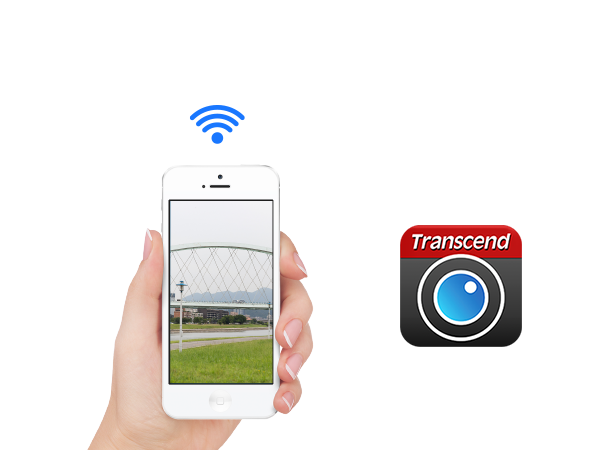 The convenient snapshot feature allows you to take photos while recording video. 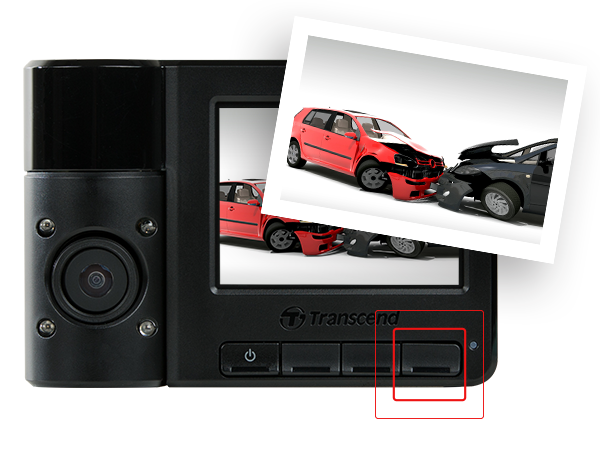 During an incident, you can also remove DrivePro 520 from the vehicle to capture collision damage on the spot. 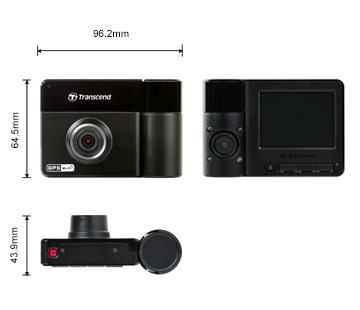 Combining all the great benefits of the front lens and rear lens, the DrivePro 520 is also an ideal car video recorder for drivers on the field including commercial, private hired and transport such as taxi and minibus to not only ensure the safety of drivers’ and passengers' on the road, but also provide an extra security to prevent from a false claim or lawsuit. 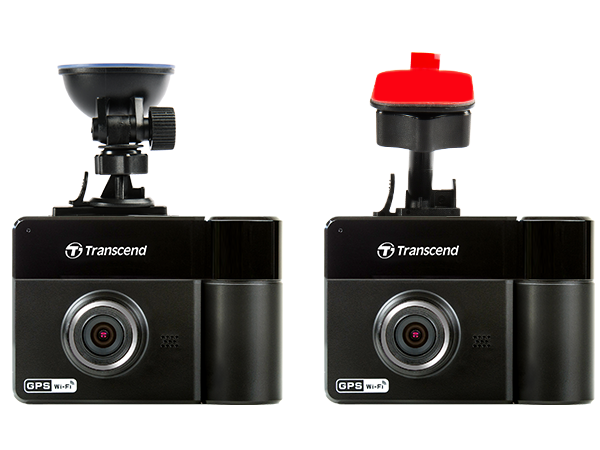 For a better user experience, DrivePro 520 provides two packages for two different mounts - suction mount and adhesive mount. You can purchase your preferred mount and attach your DrivePro 520 securely to the windshield. 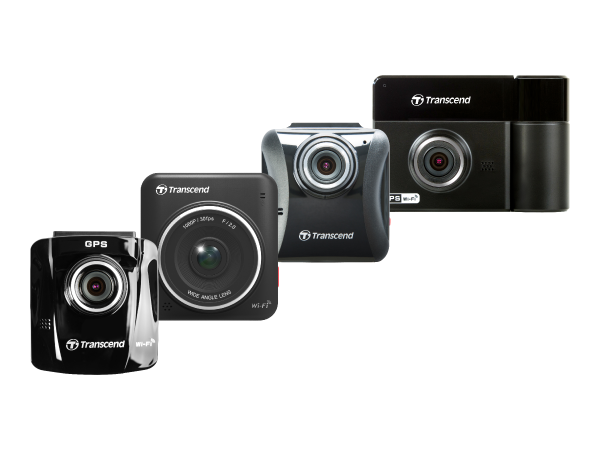 Click the Car Video Recorder Comparison Chart below to find the Car Video Recorder that suits you best. Front lens: 1920 x 1080P (30fps) Max.